Set in the heart of Adelaide you will find the beautiful Botanic Gardens. The Botanic gardens are a lovely place to spend time with the family, the kids will love running on the grassed areas and adventuring along the many path’s throughout the lush gardens. When it’s time to take a break and have a drink and/or something to eat the Simpson kiosk caters well for families. They provide high chairs for the youngest members of the family and you can chose to sit indoors or outside – if you chose outside there is plenty of room to park a pram at one of the tables. The kiosk serves a range of hot and cold drinks (including beer and wine) and cold food options include freshly made sandwiches, wraps and salads. If you are after something hot there are a range of Focaccia’s, Pies & Pasties and some light meals such as quiche and chips or Fish and chips. On our visit we had afternoon tea and had trouble deciding what to have from the good selection of cakes and cookies available. We sat outside by the lake and the kids loved seeing some ducks, although something to note is that there is no fence around the lake – so if you have an adventurous toddler it may not be a good place to sit. There are toilet facilities right next to the kiosk, but please be aware that there is no change table available. 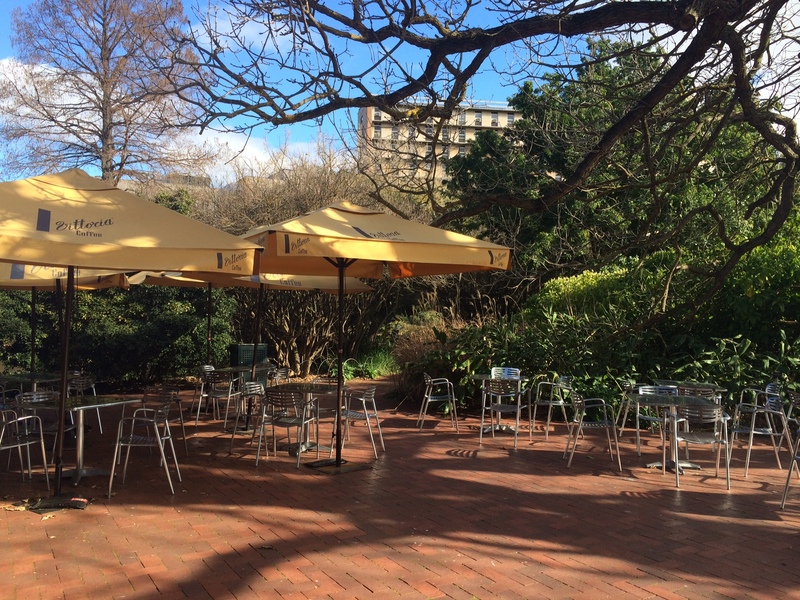 The Adelaide Botanic Gardens really are a lovely place to visit and the Simpson Kiosk will be able to cater to your needs whether it be lunch or a quick snack before getting back to exploring the beautiful gardens.